London’s sweltering summer may have faded somewhat but its style never does. 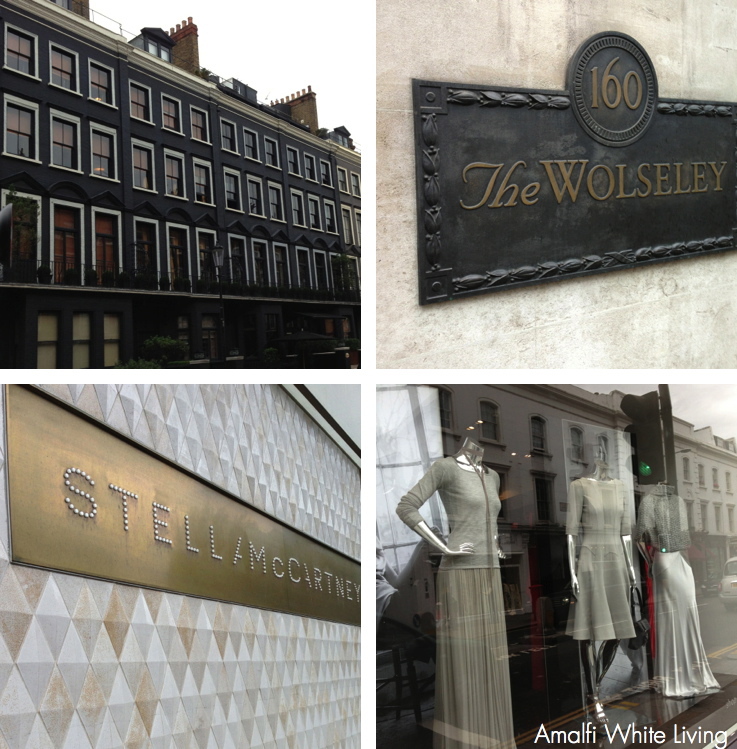 This (almost) monochrome montage includes the fabulous black-fronted Blakes Hotel (top left) and the ever chic Catherine Walker’s boutique on the Fulham Road (bottom right) showcasing sleek satin gowns with cashmere. It really has been one of the best summers I can remember and I’ve been dreaming of a summerhouse somewhere by water – maybe the sea or maybe a lake. It would be covered in weatherboard and the interior would be light and fresh and encourage you to kick your shoes off and relax. 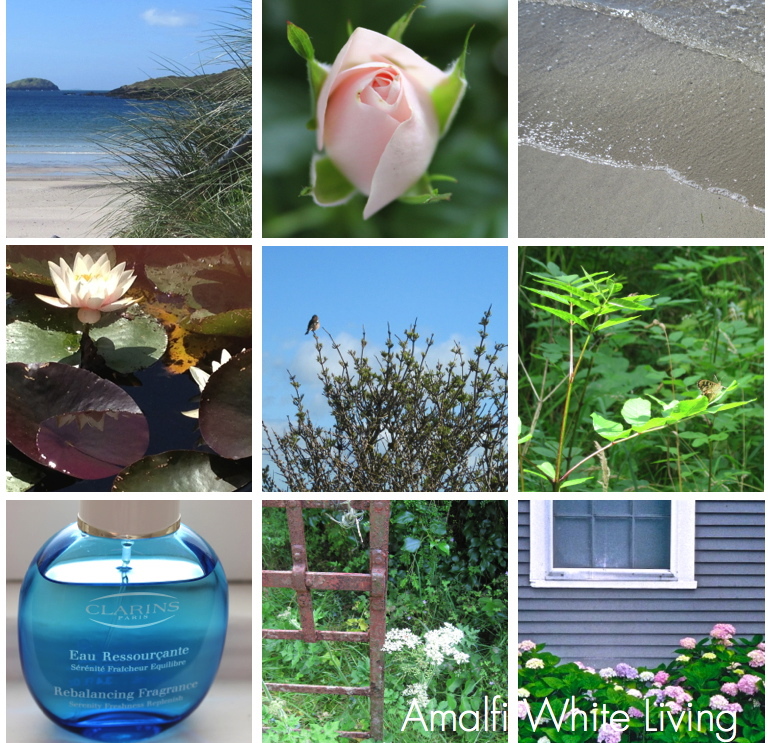 As we move into September and the nights begin to draw in I thought I’d put together a little visual reminder of the sights and scents of summer. I’ve also got a board on Pinterest where I’ve collected lots of summerhouse images to inspire you further. 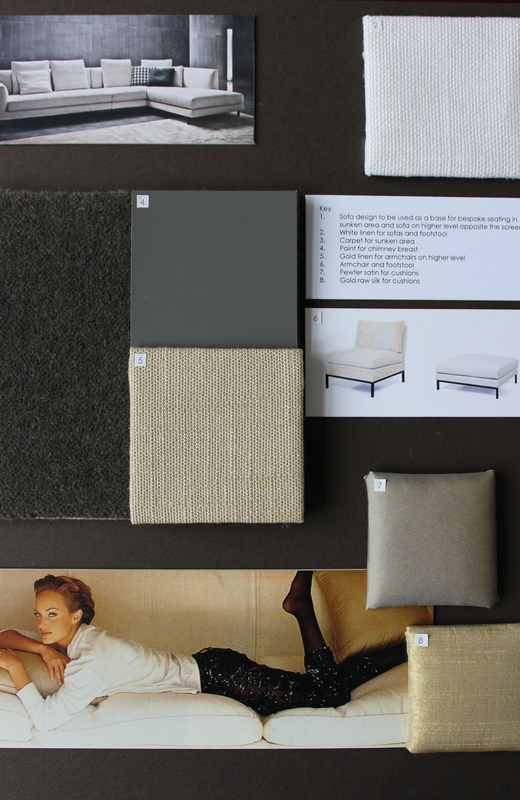 I’ve been working on ideas for a media room which also needs to be used as a room for informal tv watching as well. I wanted to use mainly texture and block colours rather than pattern so it’s all about chocolate, gold and cream. Decadent and luxurious I hope?